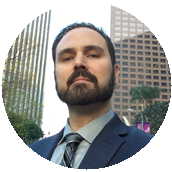 My Speech To Cerritos Community College | Todd Olivas & Associates v3.0 | Court Reporting Services in Orange County, Riverside, San Bernardino, San Diego, Los Angeles, Irvine, Santa Ana, San Jose, Sacramento, Fresno, San Francisco, Bakersfield. TO&A employs no court reporters, interpreters or videographers of our own. The providers we send are fully qualified and reliable independent contractors. 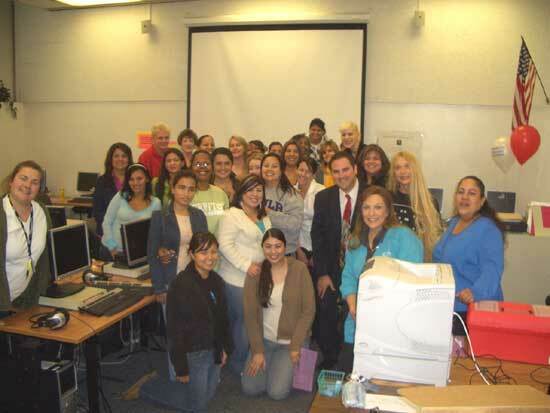 Last Thursday, I got the privilege of speaking to the court reporting students at Cerritos Community College. This is my second visit to this class. You can read all about my first appearance there when I gave my How To Get Out Of Court Reporting School With Your Sanity Intact speech back in December of 2007. The * bullet points above were snuck in there just to keep people on their toes. You can always tell if people are just ticking off the nice responses rather than actually reading the content of the question. And, er, yes... I did get good marks for hygiene! As I write on my evaluation sheets, By completing my Speaker Evaluation Form you are not only helping me out with your thoughtful critiques but saving the court reporting world from boring speeches! :) So thanks Cerritos court reporting students! Thank you, Todd. Very informative & motivational. I like the fact that you handed out worksheets which provide us with something to take home with us. This one was practically perfect! Thank you for your real life experiences that you shared. Really awesome!!! Todd is super fun! Thank you. You are such an inspiration!! It was awesome and engaging. He couldn't have done it any better! I wish you'd been doing this when I had begun my student career. Next time you come, come a little bit more relaxed. ie... clothes. The problem with conflicting advice is that -- it conflicts. Was I good or did I seem uptight? (Secretly, maybe both!) Should I loose the tie or nix the tie? Maybe just the jacket. If I speak slower then my presentation would be lengthier. Though more boring. Should I focus more on the student experience or experiences from the field? What to do, what to do? At the beginning of the meeting, they invited one of their theory students, Diana Michel, to sing a song. After the beautiful rendition of a -- Patsy Cline song, I think -- the court reporting club presented her with some much needed school supplies. Diana is blind but she has made great progress in the program. Due to some hardship qualifying for student loans, the other students and staff pulled together donations including a 200 SRT steno machine as well as student software from Stenograph. Every time I come to Cerritos, they consistently impress me with their school spirit and warmth. This time was no exception as there was not a dry eye in the house during Diana's song and then the presentation of her machine and software. What a great school! I can't wait to go back -- looks like I've been invited to speak to the night crew next! Until then, keep up the hard work and excellent motivation!! I’ve heard many positive comments from our students regarding your presentation on May 8, 2008. You are to be commended for your selfless desire to inspire and educate court reporting students. Your lighthearted approach and live demonstration will most definitely guide our students in the right direction throughout their career. You`re right, there is no free lunch! Mere words cannot begin express our appreciation for your contribution to Cerritos College court reporting students and their success in this phenomenal profession!